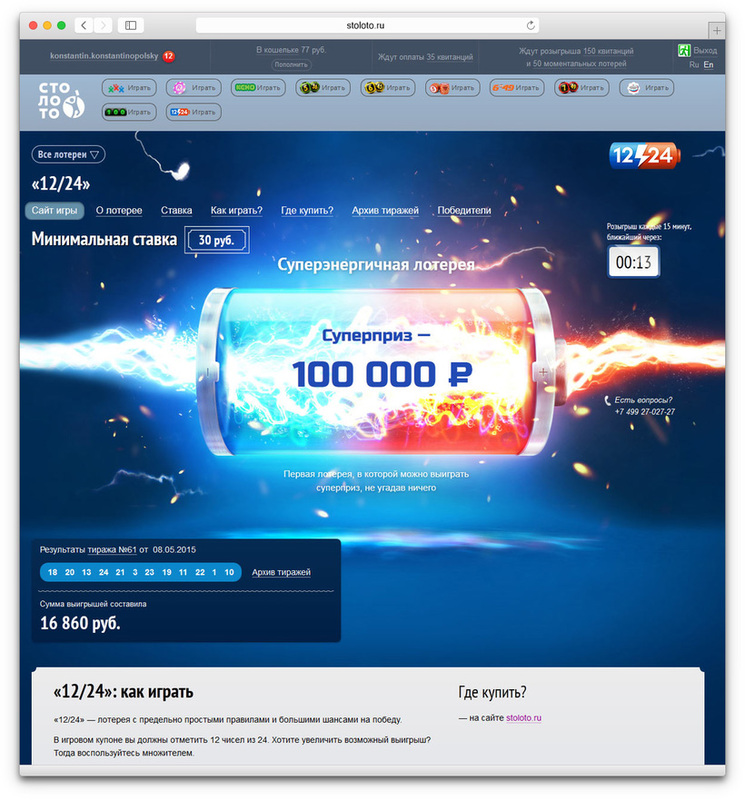 Task: to design a website for a lottery. In 12/24 lottery, the prize goes to a player who guessed either all 12 drawn numbers or none. Draws take place every 15 minutes. The front page greets visitors with a picture of a fully-charged battery bursting with energy and bolts of lightning representing the game’s speed and encouraging visitors to play.